(අපේ භාෂාවෙන් හොර කොපි) වලටත් දාගන්න ක්‍රමයක් කියලදෙන්න.මොකද අපේ ගොඩක් අය භාවිතාකරන්නේ original copies නෙමේ නේ. මුලින්ම ඔයාලට Microsoft security essentials ඔයාලගෙ windows 7 වලට install කරන්න බැරිද කියල බලන්න.බැරිනම් ඔයාල නැවත windows 7 install කර හෝ නැවත install කල වෙලාවක fresh පිට පහත මම දීල තියෙන file එක download කරගෙන run කරන්න. දැන් ඒක extract කරගෙන ඒකෙ තියෙන Windows 7 Loader කියන file එක run කරගන්න.මේක run කලත් ටිකවෙලාවක් යනතුරු කිසි process එකක් අලුතෙන් run වුනාවගේ ඔයාලට තේරෙන එකක් නෑ.නමුත් ටිකවෙලාවකට පස්සේ computer එක restart කරන්න යනුවෙන් OK කිරීමට message box එකක් පැමිනෙයි.ඊට පසු ඔයාලට සුලුරුදු ලෙස internet එකෙන් Microsoft security essentials download කරගෙන install කරගන්න පුලුවන්. (මෙය 7MB පමණ වේ). 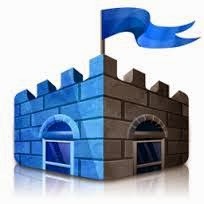 අවසාන වශයෙන් එය install වීමෙන් පසු computer එක restart කර Microsoft Security essentials run කරන්න.ඊට පසු Update ටබ් එකට ගොස් Update click කරන්න.